Plant tulips in late fall in humus-rich, sandy, well-drained soil. Grow where they will get at least 5-6 hours of sun a day; full sun is preferable. Dig the soil to a depth of 8-12″ and work in bulb food. Set the bulbs 4-8″ deep and 4-8″ apart, depending on size and variety. After the ground has frozen in winter, mulch with straw or hay. After flowering, remove the head of the tulip but allow the stem and foliage to die back naturally. Tulips perform best their first year; many gardeners treat them as annuals, discarding the plants after they finish blooming. 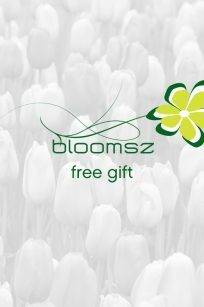 Extensive testing in recent years has proven that if a slow-release fertilizer is applied, you can expect more than one year of flowers out of most varieties of tulips. Many early-flowering species, as well as Darwin Hybrid Tulips, come back year after year with no effort. Tulips are often planted in rows, but the result is a formal look, much like soldiers lined up in ranks. For a more informal look, plant them in groups of 5-11 or more in natural swathes. 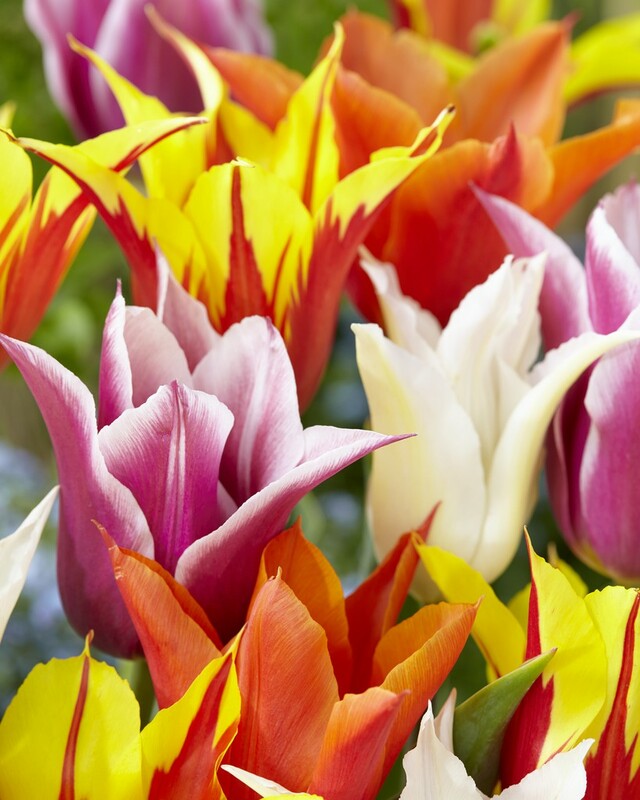 The best advice we can give is to “plant bouquets.” Plant several different varieties of tulips throughout the garden to extend the blooming time. Hardy in zones 3-8. In zones 8-10, refrigerate the bulbs for about 8 weeks at 40-45°F. In the garden, plant the bulbs after Nov. 1; 6-8″ deep in a lightly shady area to keep the bulbs as cool as possible. Dig and discard the tulips after they bloom.